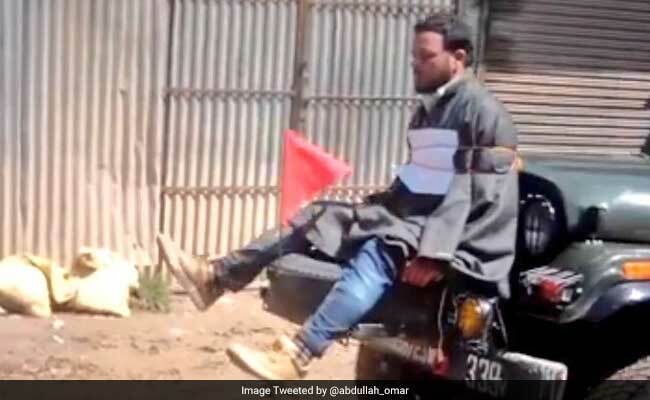 Centred around the controversial decision to reward Major NL Gogoi with a Certificate of Commendation from the army chief, even as a Court of Inquiry (CoI) is still investigating the circumstances of Major Gogoi's decision to tie a Kashmiri passer-by to a jeep and parade him around several villages as a warning to agitating Kashmiris, a war of words has broken out between the current army chief, backed by the central government, and two very senior recently retired Lieutenants General, both of whom have served as GOC-in-C Northern Command - HS Panag and DS Hooda - over law - and rule-based discipline in the armed forces. And India's most distinguished contemporary historian, Prof Partha Chatterjee, has made a notable contribution to the debate by highlighting the implications of this for the civil-military relationship in India. No responsible Indian can stand aside and say the argument is no concern of his or hers. The background to this argument is two-fold. On the one hand, India has the proud record of being just about the only one of nearly 150 countries who became member-States of the United Nations after our Independence to have continuously maintained a democratic form of government while most others have succumbed to one form or other of military dictatorship. On the other, the Indian army has been deployed almost continuously over the same period of 70 years in counter-insurgency operations somewhere or other in the country, particularly Jammu & Kashmir, with the high distinction of having acted within the framework of the Army Act and the rules and regulations drawn up and issued by the army chief himself for units deployed in such counter-insurgency operations. That is an enviable record almost without parallel in the countries that came to freedom and liberation after 14/15 August 1947 (Pakistan preceded us by a day). But we are now told by the army chief, with the backing of Defence Minister Arun Jaitley, that in a "dirty war", it is essential that "innovation" be displayed. The unsaid implication is that the Army Act and the COAS' own rules and regulations might be by-passed or even transgressed if that delivers the result that the local army commander seeks to secure. This clarification by the army chief, in his interview to PTI on May 29, was apparently in response to Gen HS Panag who had earlier told the online journal The Quint that Major Gogoi's action was a "criminal offence" under Section 69 of the Army Act that explicitly prohibits "holding persons hostage, holding them under confinement or threat, or pushing them to danger deliberately". Gen Panag further pointed out that under the "Indian army's own rules and regulations", the act of tying a passer-by to a jeep and parading him around several villages is, prima facie, tantamount to transgression or flouting of express provisions of the law, and the army chief's rules and regulations. I stress "prima facie" because a Court of Inquiry had been set up by the army to look into this to determine whether there had been any wrong-doing. Even as the CoI was in progress, the defendant was awarded a Certificate of Commendation by the army chief, who claimed in his PTI interview, "I know what is happening in the CoI"! When the law says that not even the convening officer can be privy to the proceedings of a Court of Inquiry till its findings are finalized, it is intriguing, to say the least, that the CoAS seems to know all about it - to the point of asking rhetorically, "What do we punish him for?" That is precisely what the Court of Inquiry is required to determine. Can the outcome be prejudged by the CoAS and made public? Would that not amount to unduly influencing a court comprised of officers who are way down the hierarchy, well below the exalted office of CoAS? It would appear that none of these niceties apply because, to quote the army chief, "It is a dirty war...You fight a dirty war with innovations." The eminent historian, Parth Chatterjee, has recovered from the archives the defence that then Brigadier Reginald Dyer gave himself when he mowed down hundreds and more at Jallianwala Bagh. He said, "It was my duty - my horrible, dirty duty." Chatterjee says, "We have just arrived at our own General Dyer moment" for "there are chilling similarities between the justifications advanced for the actions of the British Indian army in Punjab in 1919 and those being offered today in defence of the acts of the Indian army in Kashmir." Gen Panag's indictment, I fear, will stand the test of time and the judgement of history: "Whatever the provocation, the Indian Army cannot take recourse to illegal acts. The State's monopoly of violence is accepted only if it follows the rule of law; if it doesn't, it justifies the breaking of its monopoly by individuals, mobs and insurgents." The CoAS's argument is that "people have to be afraid of us" because "adversaries must be afraid of you". Partha Chatterjee asks why should an army be "feared by its own people"? Gen Hooda's riposte is unequivocal: "we have to be muscular (but) not against our own people". He stresses in the same article that there are "limits of strong-arm tactics while dealing with internal conflicts" and adds, with telling effect, "military ethics must stand on its own principles and values...it is squarely on the military leadership to ensure a reputation of ethical behavior". Meanwhile, Gen Panag apprehends that the spectacle of Major Gogoi's 'innovation' "will forever haunt the Indian army and the nation." Of course, we must respect our men in uniform. Of course, we must stand by them when they lay down their lives for the nation. But is this a "war-like" situation, as Arun Jaitley describes it? Or is it a street confrontation with stone-pelters and five-year old kids who kick at soldiers as they do at their own parents to vent their child-like anger? We cannot be at war with our own people. Yes, shoot down militants, plead the Kashmiris, but must you blind our children? Menacingly, the CoAS says in his Quint interview: "In fact, I wish these people, instead of throwing stones at us, were firing weapons at us. Then I would have been happy. Then I would do what I..." his voice trails off. So, what does he want to do? What does he want to do to "these people"? Perhaps it is too horrific to say - which is perhaps why he restrains himself from saying it. He has already said too much. It is one thing to rave at your batman and quite another to speak to the press. That is why the Defence Ministry has as its spokesperson not an armed forces guy but a senior civilian from the Press Information Bureau. That is also perhaps why only authorized spokespersons, and not any old army guy, are nominated by the government to interact with the media. But things are changing. That is why Gen Hooda regrets that "The army in Kashmir is squarely in the centre of the public discourse." He says, "This kind of visibility is detrimental to a force involved in counter-insurgency operations." Yet, the present army establishment has taken the unprecedented step of putting Gogoi, a mere major, on the screen to defend himself, whereas Gen Hooda believes, in keeping with long army tradition, that "keeping it out of the public eye will enable it to quietly go about its work", which is fighting militants, not preening on the very TV channels that are loathed by the Kashmiri people. One comes at last to the question of civil-military relations. Partha Chatterjee underlines the critical issue: "For nearly seven decades, the professional armed forces of India...have been kept firmly under civilian control and out of politics". However, recent events "point to an impending transformation of the relations of the military with the civilian wing of government." After surveying the current scene, he delivers his rapier thrust: "One can only hope that, as a nation, we have not reached the edge of a slippery slope. Otherwise, our General Dyer moment would prove to be the precursor to a General Ayub moment." And that brings me to my own tuppeny-ha'penny story. The most interesting visit I had during my posting in Karachi was from former Foreign Secretary, Rajeshwar Dayal, who had earlier (1958-62) served as our High Commissioner in Karachi. He told me that when he had been District Magistrate in Mathura in the early '40s, his superintendent of police was General Ayub Khan's brother and Ayub himself had been posted at the cantonment in Agra. They had spent many a convivial evening together. Days before Rajeshwar reached Karachi, Ayub had conducted his coup and become Pakistan's unchallenged and unchallengeable military dictator. Old friendships don't die and so Ayub had seized an early opportunity to drop in unannounced at India Lodge for a confidential chat with the High Commissioner. He said that for at least the next six months, he had the politicians by the short hairs (he actually used a more colourful army expression!) and could over-ride any objection from them. Therefore, he was proposing that the Indian Prime Minister be informed that he, Ayub, was willing to settle Kashmir on the lines of the then recent South Tyrol (Trieste) agreement between Austria and Italy - that while the ground position would, for the present, be left undisturbed, the agreement specified that a "de jure" solution would be found by "a future generation". 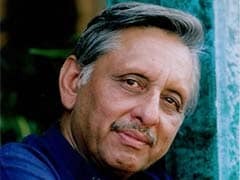 Dayal rushed off the proposal to Delhi, but it received no reply for Nehru decided that settling Kashmir with a military dictator would only legitimize military rule in our neighbouring country whose senior officers had been to the same military colleges as ours and served in the same regiments during the Second World War. He did not want the Bonapartist infection spreading to the Indian army. That's the warning Gen Panag is sounding when he tells Quint: "The army as an institution has been accorded a halo - that it can do nothing wrong and nobody should criticize it. That is the worst that could happen to an army".